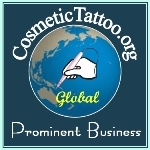 With some courses the valuable practical sessions that you spend with your instructor are wasted learning theory and the basics, with CT-AIVEP training we provide you with a comprehensive online educational package to teach you the theory & prepare you for your practical training days, that way your practical training time is spent actually learning to tattoo giving you the maximum amount of hands on training for your money. Click Here - To see a sneak preview of the course online format! This Training Kit is excellent value for those who want a kit that contains the most important starting equipment for training as a Cosmetic Tattooist. • Extra Warranty (+9 months) • AU power supply adaptor.